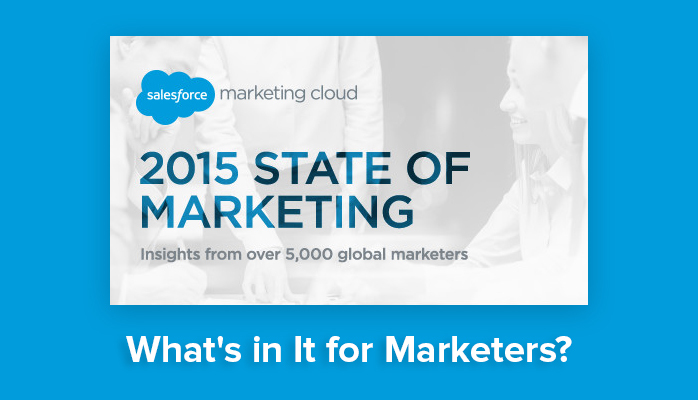 2015 State of Marketing Survey by Salesforce.com should be an eye-opener for traditional thinkers. Though, it indicates a drastic shift in spending habits of the businesses and makes some strategic predictions for the year 2015. Yet it endorses importance of email as an integral touch point in marketing where 73% marketers agree that email marketing is core to their business. In the following, we’ll analyze some stats to find out whether “email marketing is not dead or not?”. 20% marketers believe their revenue source is directly linked to email operations. 60% believe that email is a critical enabler of their product/service. When it comes to calculation of email marketing ROI, we find that 74% of them are very optimistic. 21% marketers claim earning significant ROI on email campaigns. 32% claim receiving some return. Only 3% think of email marketing as not a good medium to produce ROI while 5% were not sure. Marketers will need a dedicated content strategy for email marketing. We see newsletter, promotional content, welcome notes, post-purchase and transactional messages with their percentage usage in 2014 and expected usage in 2015. A small percentage also considers un-subscribe, inactive user, and bounce rate to measure their campaigns’ success. Do You Have a Mobile Strategy for Email? 2015 State of Marketing survey confirmed the mobile email trend had substantial growth from the past year. Nine countries likely surpassed 50% mobile penetration in 2014. This year, 33% of marketers said their emails are read on a mobile device at least 50% of the time; last year, it was 24%. In short, email marketing is not dead, it is as relevant as it was few years ago. However, businesses will have to adopt best practices for email marketing in 2015 and follow the trends. Integrate your mobile, social media, and email marketing to obtain greater and optimized results. ٖFor latest updates from Makesbridge, please follow us on Twitter @makesbridge.